Why Is Madrid Not in the Game in Latin America? Spain’s media, government ministries and academic specialists watch what they call Iberoamérica closely, but President Rajoy and other political leaders have adopted a lower policy profile in the region than in the past – and they appear unlikely to raise it soon. Local observers stress that Spain’s interests in the region – preserving historic leadership and influence and building commercial relations – remain the same. The Foreign Ministry’s website emphasizes the goal of achieving “relations based on equality and balance with all of the countries” in Latin America and to be the European Union’s “key agent” in relations with the region. Spain also puts great stock in the annual Iberoamerican Summits, even though attendance can fall short of what it hopes for, such as in Veracruz, Mexico, last December. Madrid rolled out the red carpet for Colombian President Juan Manuel Santos in February, during which both countries’ leaders spoke of their unstinting friendship and backing. Spanish investment in Latin America has rebounded from the setbacks of the 2008 crisis and the bad odor left by Argentina’s nationalization of Repsol’s shares in the YPF oil corporation in 2012. Trade has never been the mainstay of the bilateral relationship, but it too has been steady, according to local experts. Neither of Spain’s two leading parties, however, has shown much interest in making relations as “special” as they like to say. The frisson of excitement from President Obama’s decision to restore diplomatic relations with Cuba – arguably a validation of longstanding Spanish policy that engagement is better – did not last long. Observers in Madrid say the government is neither concerned about new U.S. competition on the island, such as in the hotel industry, nor excited that Spanish companies will win big when U.S. tourists flood in. After former President Zapatero met with Cuban President Raúl Castro late last month, current Foreign Minister García-Margallo accused him of “extraordinary disloyalty and … inappropriateness,” apparently for violating several Spanish protocols for former heads of government. But Margallo’s pique was consistent with the Partido Popular’s longstanding chilliness toward Cuba (particularly under former President Aznar) and almost certain was aggravated by the fact that Raúl had stood him up for a meeting in Havana in November. The two parties use similar rhetoric to condemn Venezuelan President Maduro’s increasingly abusive policies, but neither has provided creative leadership in finding solutions to the country’s impasse. Former President Felipe González, of the Socialist Party (PSOE), has agreed to join the legal defense team of jailed oppositionists but apparently not counseled them on broader strategies. Transient issues, such as frustration that investments might be nationalized, and widespread perceptions that Venezuela and other problem cases in Latin America are intractable probably lie at the heart of Spain’s preference to stay on the sidelines. The shift probably also reflects Spanish leaders’ focus on internal priorities – an economy still reeling from the 2008 crisis and youth unemployment so high (over 40 percent in some regions) that there’s fear of a “lost generation.” In important ways, Spain’s posture toward the region parallels Washington’s – showing fatigue or doubt at a crucial juncture in Latin America’s search for political and economic models as well as effective trading alliances. 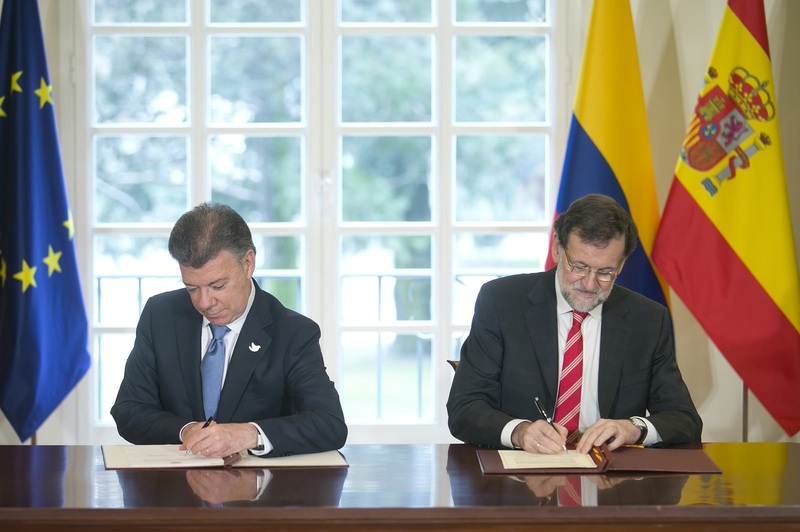 Even though Latin American rhetoric tends to reject outside models for democratic transition and institution-building – including Spain’s – Madrid’s historical experience gives it potential advantages in dealing with the region’s political challenges. Spain and the United States approach in Latin America are quite different – Washington tends to rely on programs to strengthen regime opponents as agents of change – but their strategic objectives in Latin America are complementary. It would make sense for the two to team up in the region, cooperate in diplomatic strategies, and provide the sort of respectful partnership that many Latin Americans seem to yearn for.